Today I whipped up dishes which reminds me of my childhood days. Since young, my beloved grandma would take care of me while my mama was teaching. Hence, dinner is always prepared by my grandma. I love this whenever she prepares it. But it's quite unhealthy cuz it's alittle salty. Usually when I make this, I would add alittle of each sauce to balance the taste. Another dish by her which will stay dearly in my heart. 1) Heat oil in wok, add minced garlic, then mushroom, stir fry till fragrant. 2) Add in pork, fry for 2 mins, then add in cabbage & some water. 3) When cabbage softens, dish out everything & set aside. 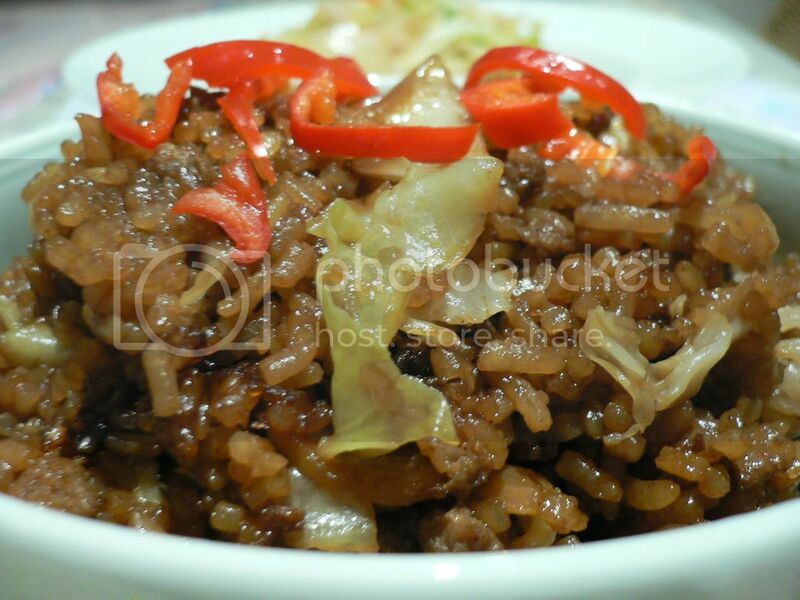 4) Wash rice in rice cooker/pot, add in the previously fried ingredients, mix well with rice. 5) Pour in seasonings & stir well, make sure everything is well coated. 6) Add in some mushroom water & water as per how u would cook ur rice. Garnish with sliced red chillis b4 serving. Bon Apetit! 1) Heat oil in wok, add in garlic & onions, fry till fragrant/browned. 2) Add in scallions & red chilli. 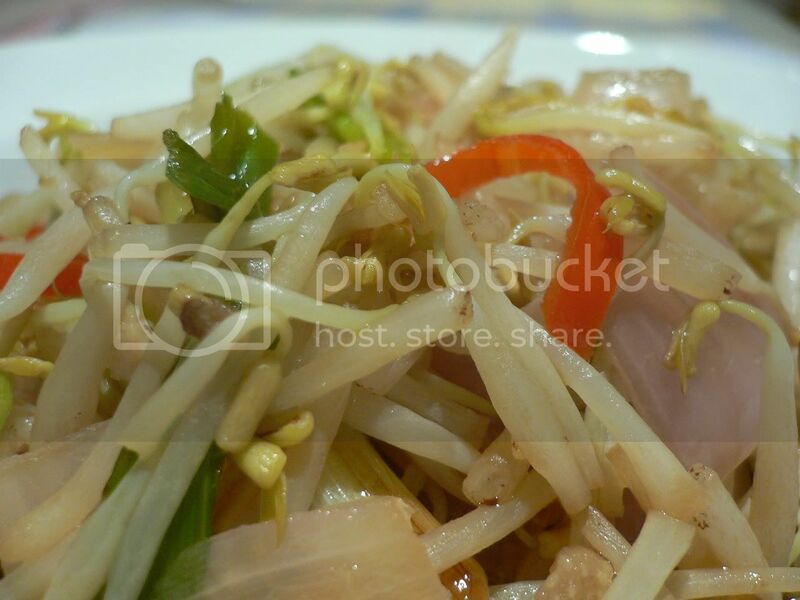 3) Add in bean sprouts, fry till softens. 4) Pour in seasonings & serve hot with rice. Sour, Sour, Sour!! Love It!